Facet joint upper back pain is not as common as symptoms in the neck or lower back, but is slightly more prevalent than symptoms that exist in the middle back area. The upper back is a region that works closely with the neck and is primarily responsible for the functionality of the arms. Therefore, it is typical that patients with upper thoracic facet joint problems demonstrate diminished abilities lifting and performing strenuous tasks with the arms and shoulders. Upper back pain is rarely a medical specialty, with most doctors fixated on the far more commonly reported symptomatic areas of the cervical and lumbar spinal zones. Although very strong and capable, being reinforced by the ribs, the upper back can still develop structural issues that might result in mechanical or neurological pain syndromes in and around the zygapophyseal joints. This dialog seeks to help patients who are suffering from upper back pain that has been linked to facet joint syndrome. We will explore the locations and symptoms of the condition, as well as provide helpful tips that can improve diagnostic and treatment outcomes. The upper back contains 6 vertebral levels descending from the C7/T1 juncture to the T6 vertebra. This area is heavily muscled and also reinforced by the ribs for added strength and durability. The upper back is not required to be as flexible as the cervical or lumbar spinal zones, so it is generally spared the same degrees of structural deterioration found universally in the neck and lower back. Most facet joint issues are located in the uppermost vertebra or 2 of the thoracic spine, at T1 or T2. This is logical, since most of the degeneration that is endured by the thoracic region occurs here at the cervicothoracic juncture, anatomically marked by the prominent vertebral protrusion at the base of the neck. This vertebral level at T1 still receives considerable stress and is also the location of the most common incidence of disc desiccation and possible herniation in the upper back region. It is logical that facet arthritis is also more common here, although this is still a minor problem in scope and symptomology compared to other facet joint syndrome locations. As one progresses inwards towards the middle back at T5 and T6, facet joint abnormalities become the rarest in the entire spine. This region is considered the most stable and strong and is the location of the fewest number of dorsalgia complaints, regardless of the diagnosis. As is expected elsewhere in the spine, mechanical facet joint pain in the upper back that is enacted by osteophytes is usually extremely localized in and immediately around the affected joint structure. Pain will rarely exist off the center of the vertebral column and should not radiate far into surrounding tissue. The same applies for facet pain caused by compression of the nerves within the joint itself. This discomfort often feels hot, sharp and tingly, and both varieties of symptoms are typically directly tied to movement of the spinal joints. Ligamentous-enacted facet problems might create more diverse and wide-ranging pain, often following a linear pattern up or down the spine. Hypomobile joint problems will cause a tense, tight, uncomfortable feeling in the joints, while hypermobility might result in instability and various symptomatic manifestations of form and functionality. When a neuroforaminal opening is closed off due to osteophyte accumulation, symptoms will not always exist in the area of nerve compression. Instead, symptoms will occur in the innervated location of the body, which in this case will be areas of the inner arm, torso and back. Usually pain will be transient, if it exists at all in compressive neuropathy diagnoses. Instead, neurological dysfunction will give rise to numbness, weakness and functional deficits, as per clinical expectation. One of the most difficult aspects of diagnosing upper back ache is finding a doctor with the experience to understand the often complex issues that can occur to create symptoms in the region. 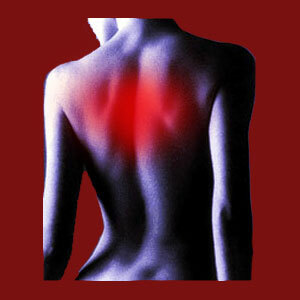 Upper back pain is not common and usually resolves without the need for patients to seek medical care. Dramatic treatments for upper back pain account for only a tiny percentage of all injection and surgical therapies used to treat cervical or lumbar dorsalgia. The facet joints in the upper back are strong and usually safe from the significant degrees of degeneration that might create symptomatic issues for patients. However, there are still other possible causes of facet joint pain, including traumatic injury, spinal surgery, as well as additional spinal abnormality, such as scoliosis or kyphosis, and all of these factors can be responsible for enacting discomfort in the area. Just remember that the thoracic facets do not move nearly as much as in other spinal levels, so pain there might be less logical if it is movement-related. Take extra special care to verify the accuracy of any facet joint diagnosis in the upper back in order to improve your chances for successful treatment. Facet syndrome is possible in the upper thoracic spine, but is extremely atypical, so we suggest seeking multiple diagnostic opinions before acquiescing to care.